If you want to work on your client’s business data simultaneously with him/her, you can invite your client. 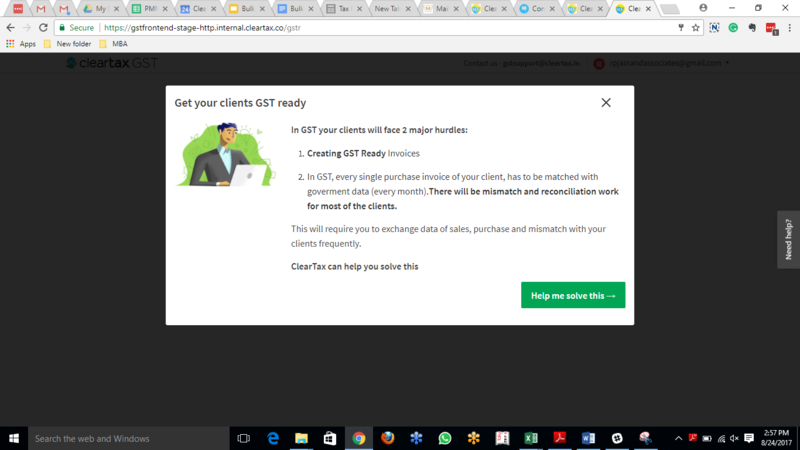 Once the client accepts the invitation, s/he will be able to create bills on the ClearTax GST software for FREE and avail all other services as per the plan s/he subscribes for. 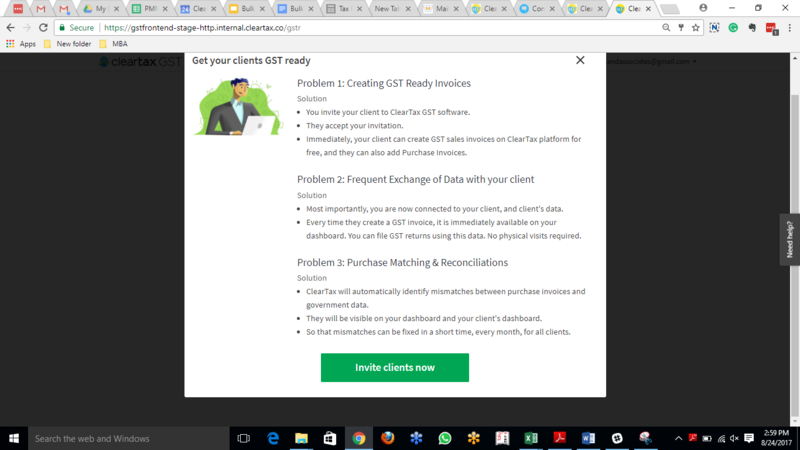 NOTE: Make sure that the client is not already registered on ClearTax GST software with the email id, that you are using to send the invite. 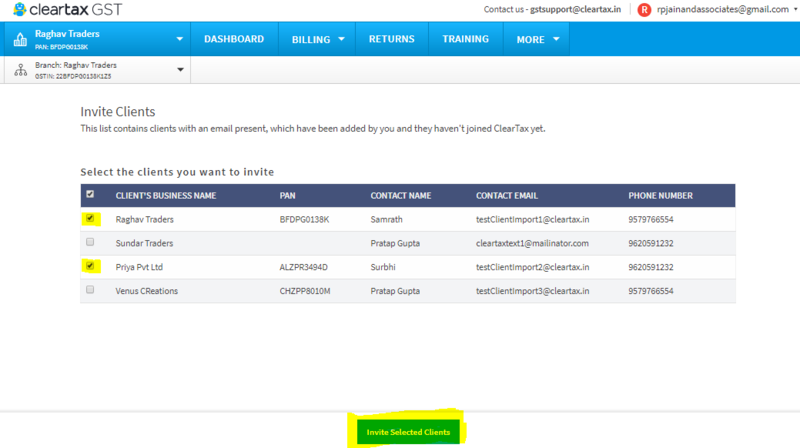 Step 1: Go to ‘All Businesses Dashboard’ & click on ‘Invite Clients’. Step 2: A pop up will appear, click on ‘Help me solve this’. Step 3: A second pop up will appear. Now click on ‘Invite clients now’. Step 4: You will see a list of clients you have already added. Select the clients you want to send the invite to, to use the software. For ex. ‘Raghav traders’ and ‘Priya Pvt ltd’ and click on ‘Invite Selected Clients’. Next, you will see a message of success after sending invites to the clients. These clients will receive emails on their email IDs with a link to accept the invitation & use the software. Once the client accepts the invitation, you and your client will be able to work simultaneously on the software & access all business data without having to transfer any files or visiting your office.